Froggy escaped from his original game Sweet Sins! 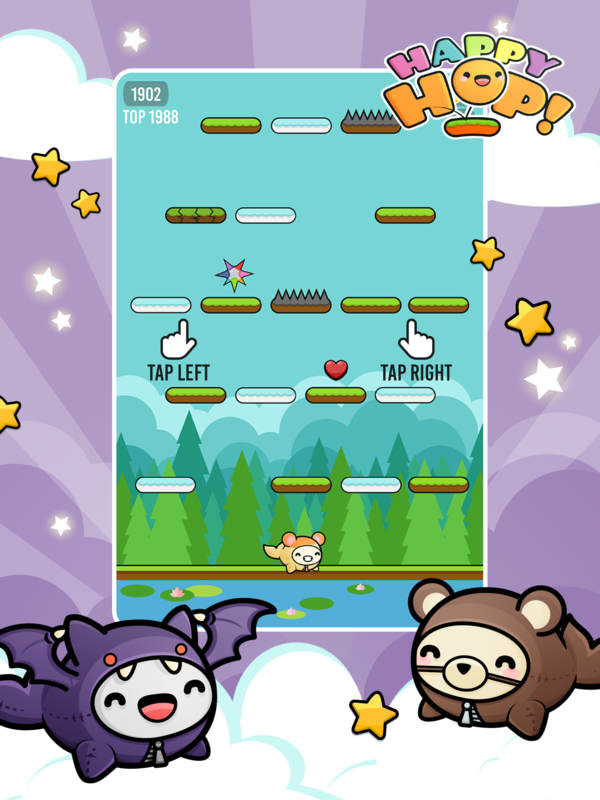 Help him and his Miimo friends on this new kawaii adventure! 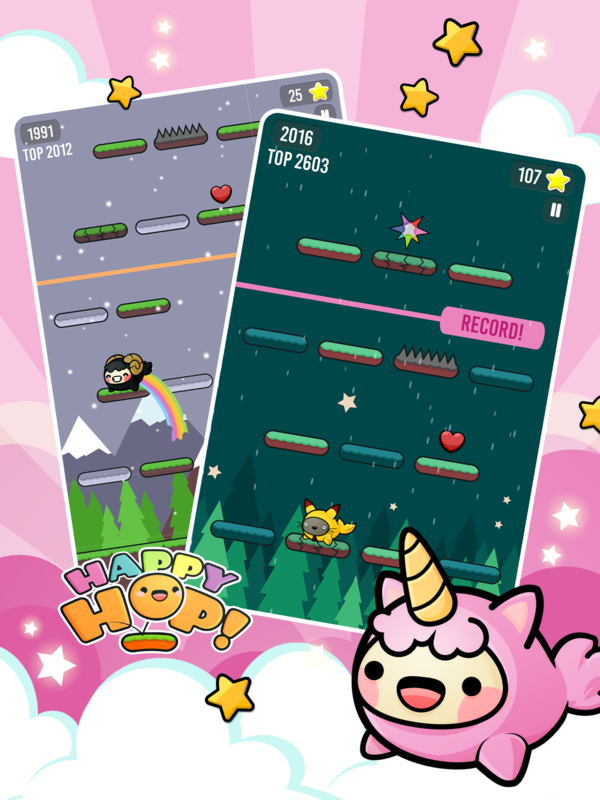 Happy Hop is an original endless hopper, very easy to play but hard to master! 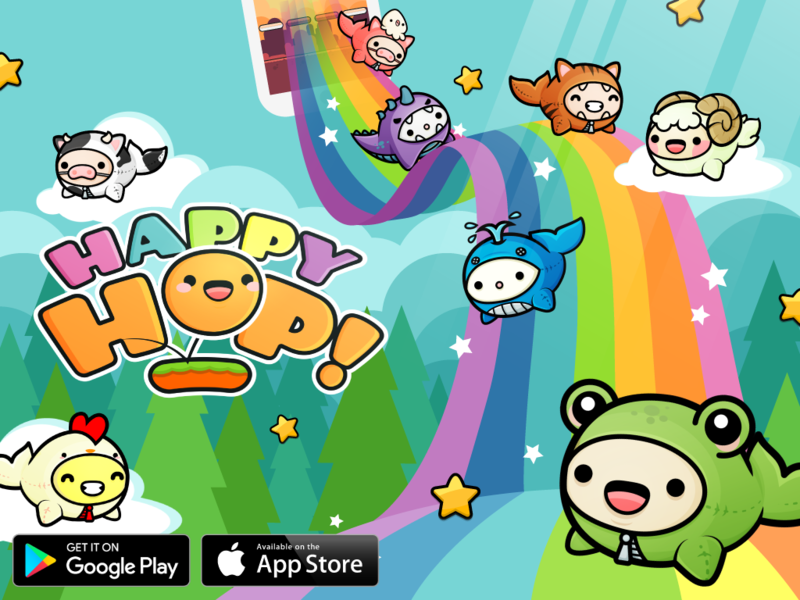 This perfect mix between Doodle Jump and Flappy Bird features a friendly free-to-play model inspired by Crossy Road. 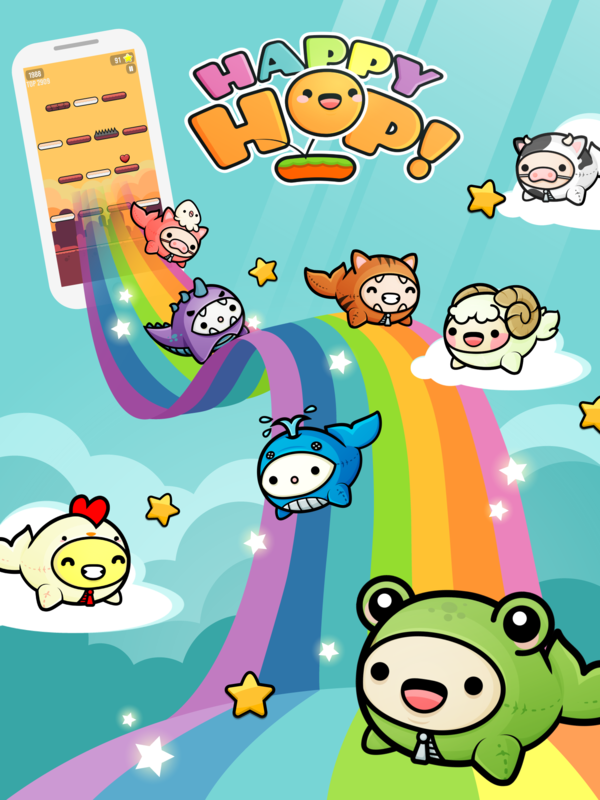 Happy Hop is the new viral smash hit you’ll never stop playing! 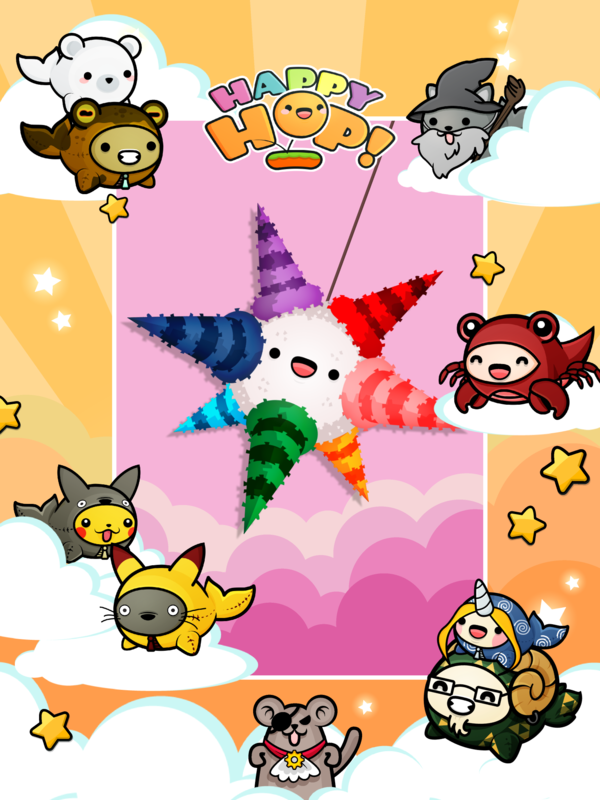 ‘Happy Hop: Kawaii Jump’ is available for free on Google Play and App Store. More than 70 Miimo pets available! Gotta catch them all! 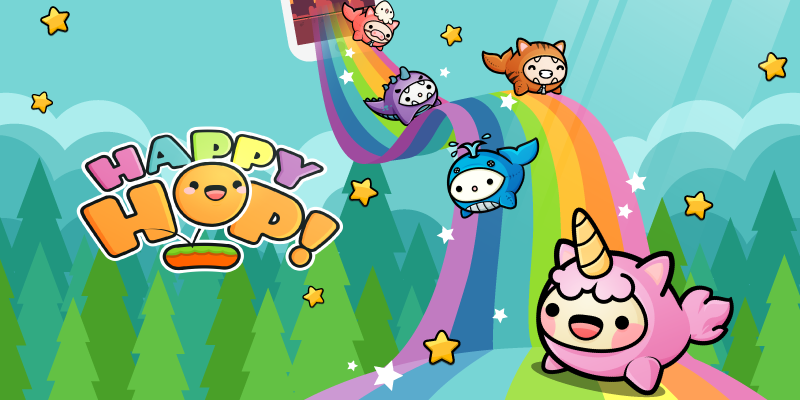 Cross the sky on your rainbow while collecting hearts, stars and piñatas! Fly through +20 amazing landscapes and travel to Miimoland! ♥ Check our awesome handmade Miimo Charms on Kawaii&Cute Etsy Store!